St. Louis is home to blues music, a brewing tradition and Cardinals baseball. The city was destined to become a beer town. In addition to the large German and Irish population, there was plenty of water, rail connections, limestone caves, and an entrepreneurial spirit that provided the foundation for the city’s beer business. Today, the tradition continues as St. Louis is home to several microbreweries and brewpubs. Ballpark Village is a seven block, 10-acre entertainment plaza comprising Cardinals Nation, a venue that combines a Cards-themed restaurant, rooftop deck with views inside the stadium, and the St. Louis Cardinals Hall of Fame and Museum; a Budweiser brew house, complete with beer garden and displays of St. Louis’ brewing history. St. Louis Cardinals catch an exciting Major League Baseball action and cheer for the St. Louis Cardinals, 11-time World Series Champions. You can also take a Stadium Tour. 4 Hands Brewing Company is a craft brewery located in the LaSalle Park neighborhood. Specializing in crafting unique ales that push the level of creativity and flavor. At any one time, 10 different ales will be available. Schlafly Bottleworks free tours of St. Louis’ favorite brewery includes an exhibit on the history of brewing in St. Louis, the brew house, bottling plant and tasting rooms. 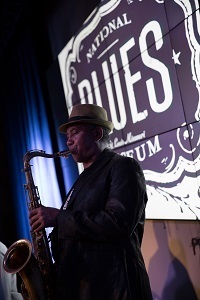 The National Blues Museum is a world-class cultural attraction. Legendary Blues icon Buddy Guy, Grammy Award Winners Robert Cray and Derek Trucks, and film and TV star John Goodman support the project. It explores the Blues and celebrates the genre as the foundation of all modern American music. The facility educates guests in an entertaining environment that includes high impact technology driven experiences, a 100-seat theater, artifact-driven exhibits and public programming. BB’s Jazz, Blues & Soups stop in and catch award winning live music nightly with local and national acts. Broadway Oyster Bar is where you can catch the best in local and national bands. Route 66 has become an icon of American culture and history. Established in 1926, this semi-transcontinental highway stretches 2448 miles from Chicago to Los Angeles. 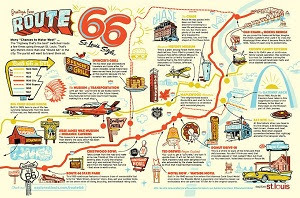 Route 66 entered American folklore with the famous song written by Bobby Troup who urged us all to ‘get our kicks on Route 66’. 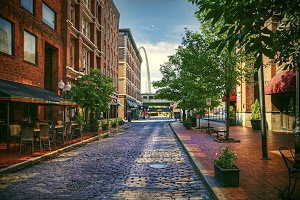 Downtown St. Louis has undergone a myriad of changes and modifications since its days as a garment and shoe manufacturing center. The Loft District is home to major corporations, small businesses, residential lofts, boutiques, galleries, restaurants and nightspots. The neighborhood’s evolution has returned the once proud historic buildings to service. The Gateway Arch soars 630 feet above downtown St. Louis. America’s tallest man-made monument offers a 30-mile panoramic view of the Mississippi River and the city; it was built to honor President Thomas Jefferson and his vision of a continental United States. The Central West End is over a century old and full of charming sidewalk cafés, galleries, antique shops, restaurants, boutiques and pubs. Adjacent to the commercial district, it is characterized by tree-lined streets, stately turn-of-the-century homes and the family apartment of playwright Tennessee Williams, setting of his play The Glass Menagerie. Cherokee Antiques Row minutes south of downtown St. Louis, it offers six blocks of independently owned and operated antique, collectible and specialty shops, art galleries, restaurants and cafés. The Cherokee-Lemp History Walk takes you through 200 years of history, with mini-histories displayed in the windows, on fences or facades of 26 buildings that detail charming Victorian architecture and the families that ran the businesses from the 19th century through the 1950s. 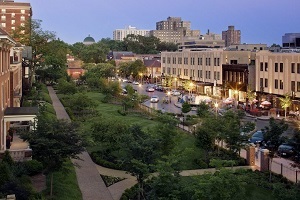 Clayton is home to the St. Louis County government as well as boutiques, galleries, hotels and restaurants known throughout the region. Webster Groves is an enclave filled with century-old homes and a mélange of architectural styles with cultural offerings, cozy restaurants, and boutiques. Over 300 of the community’s homes are listed on the National Register of Historic Places. The neighborhood includes the 1857 Hawken House, built by inventors of the rifle that explorers took to the western frontier, Webster University and the Loretto-Hilton Theatre. Soulard is the city’s oldest neighborhood. Its historic streets, lined with red brick townhomes, are located five minutes south of the Arch. 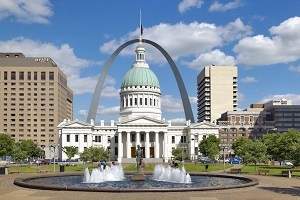 It is named for Antoine Soulard, a Frenchman who surveyed colonial St. Louis and is home to historic churches, built by St. Louis’ immigrant communities. Soulard marks its French heritage with an annual Mardi Gras fête; revelers also flock to the neighborhood in the fall for Oktoberfest. 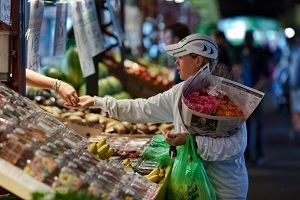 The Farmers Market has been operating since 1779. 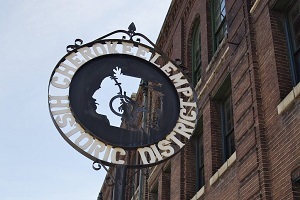 Laclede’s Landing is where 19th century architecture meets 21st century dining and entertainment. The Landing is a collection of historic riverfront warehouses that have been converted into nightclubs and restaurants. 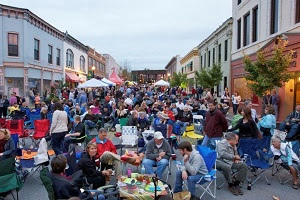 Grand Center is the cultural hub of the region. 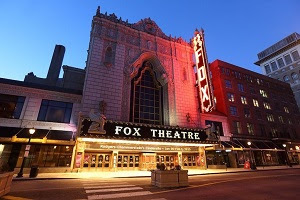 There are few districts in the United States that have the intensity and caliber of arts offerings as Grand Center with its 12,000 theatre seats, 1,500 cultural events, and a dozen galleries and museums.